Uno Casa Bamboo Handy Cutting Board Set 2 Pc Set. Don't damage your counter-tops when you could be cutting on this cutting board. 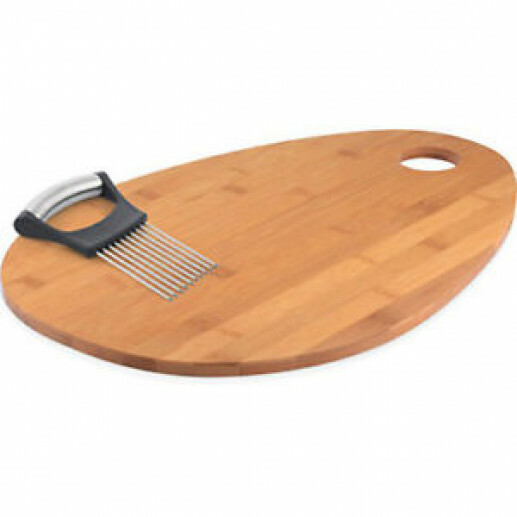 This cutting board is made out of strong bamboo and will clean up easily after the job is done.